Welcome! We appreciate your commitment as guidance counselors to your students’ success and value the critical role you play throughout the application process. 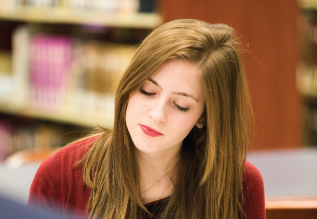 The resources below are designed to provide a convenient summary of our application requirements and to introduce you to PHC’s Christ-centered, academically rigorous educational philosophy. We would love the chance to dialogue with you more about PHC’s mission and academic opportunities, your high school’s program, and how we can best serve you and your students throughout their college decision process. If you plan to be in the Purcellville area, please contact the Admissions Office to set up a personalized visit. We would be happy to arrange a schedule for you or for a group of students that best meets your needs and interests. Of special note to high school students is our summer Teen Leadership Camp program. Each summer hundreds of high school students from across the country spend a week on campus exploring a specific subject area or academic major, learning from our world-class faculty and interacting with current students, and getting a taste of PHC life while living on our beautiful campus. Please contact us if you would like us to send a poster and brochures to your school!